Home > Games	> New Apps for the Kindle – Day Planner and Calendar, Address Book & Mahjong Butterfly! New Apps for the Kindle – Day Planner and Calendar, Address Book & Mahjong Butterfly! ‘Address Book (Your Contacts on Kindle)‘ by 7 Dragons is available on the Amazon Kindle site for $0.99! Just click here to download! Use your Kindle as your address book with Address Book by 7 Dragons. You can add up to 1,000 contacts in Address Book, and you can even import them from Outlook, Yahoo Mail, GMail or any source that supports VCF 3.0 format (VCard 3.0 format). You can organize your contacts into groups, and pick contacts to mark as ‘Favorite’ contacts. 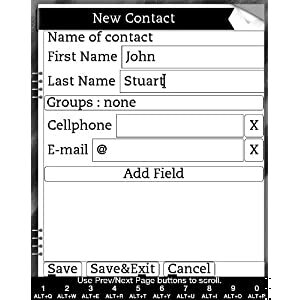 In addition to a search tool, Address Book provides a First Name Flipbook, a Last Name Flipbook to make finding any contact quick and easy. You can make backups, and there is an automatic weekly backup to help you save your data. Address Book can export your contacts in VCF 3.0 format so you can load them into Outlook, Yahoo, Google and other VCF 3.0 compatible tools. Address Book is your complete Address Book solution on the Kindle. 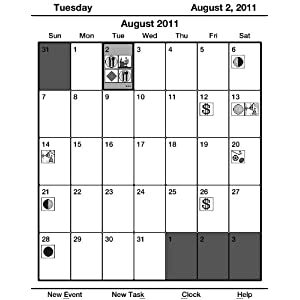 ‘Day Planner & Calendar (Organize Events and Tasks with Kindle)‘ by Magellan Interactive is available on the Amazon Kindle site for $0.99! Just click here to download! Day Planner and Calendar is a personal planner that can track just about any scheduled event you could possibly plan for. The Day Planner & Calendar lets you create scheduled events for meetings, anniversaries, vacations, or any other event you care to track. Each entry supports a location, start and stop information, personal notes, and an option to create an all-day event. You can even select one of over 50 fun icons to help you identify your event in the calendar. To help you remember important events, Day Planner and Calendar lets you create recurring events every few days, or every week, month or year. Four views help you track your events: A year view, month view, day view, and an agenda view which gives you a compact list of your scheduled events. Day Planner and Calendar also includes a Task List to help you manage non-event obligations such as shopping lists, to-do lists and even notes to yourself. Simple navigation and a check box for completion make this feature a hit for grocery lists and other tasks. If you are looking for an easy way to enter your commitments and see your calendar at a glance, Day Planner and Calendar is for you. ‘Mahjong Butterfly (A Game for Kindle)‘ by Namco Networks America is available on the Amazon Kindle site for $2.99! Just click here to download! 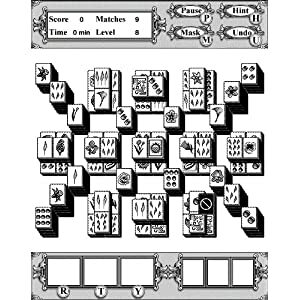 Mahjong Butterfly is a Mahjong tile matching game with a strategic goal larger than just clearing the board. You goal is to collect caterpillars and help them transform into beautiful butterflies. To accomplish this, you must match the correct kinds of tiles to get caterpillars, and then continue making the right matches to feed your caterpillars and help them grow. To help you achieve this goal, Mahjong Butterfly offers you the ability to take and hold a tile in reserve, allowing you access to a previously inaccessible tile without having to remove a valuable piece you want to play later. As you collect butterflies through the 47 different games, you gain more entries in your collection of butterflies; a nice reference that shows you more about the butterflies you’ve raised. If you are ready for a more engaging Mahjong experience, then take some time to play with butterflies!